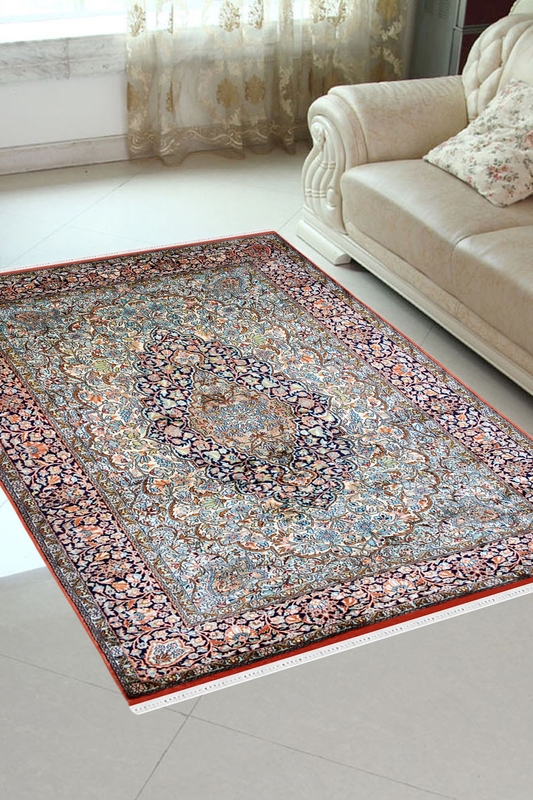 This stunning hand-knotted carpet is made in pure silk and cotton material on a handloom. The warp is in cotton and weft is in pure silk. It contains a medallion Kashan design pattern. Lay a timeless foundation for your stylish space with this Green, pink and blue colored area rug, featuring a Persian-inspired oriental motif and woven in India. This rug is totally handknotted woven in pure silk and cotton material for a perfect décor. It is suitable for a low traffic area. Available in a correct size to best suit your space, this rug works best it will be placed in a living room with white sofa.